I guess that many of us are fairly alright with using PowerPoint; after all, it's still the leading and most widely used presentation software out there (as an aside, here's a quick MS PowerPoint vs. Open Office Impress comparison/discussion). But when it comes to creating more dynamic, interactive online learning, pushing the capabilities of standard presentation software becomes quite challenging. Clearly, multiple facets steer e-learning solutions with library users as their core audience in mind. 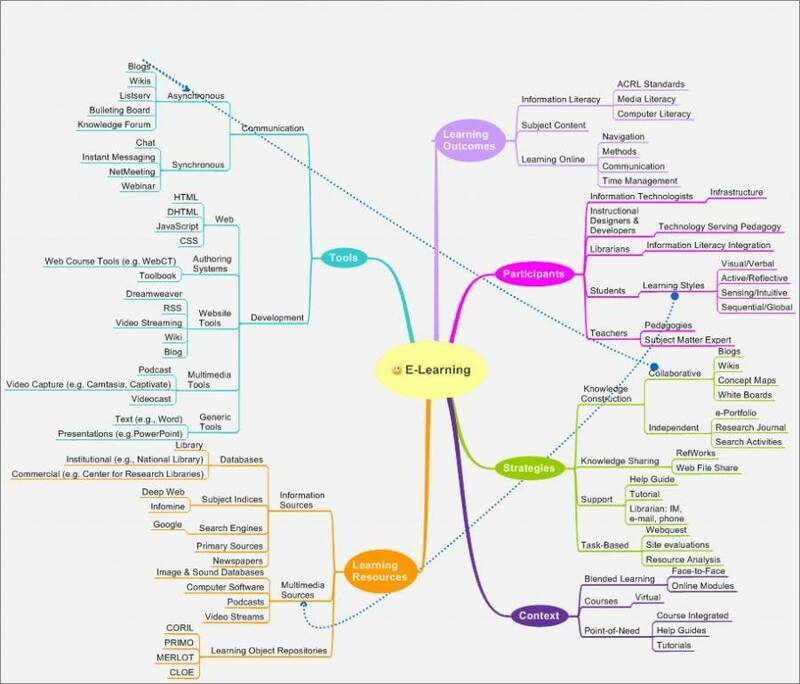 For example, different actors are involved in the creation of e-learning products (look out for participants in the diagram above): information technologists, teachers, librarians, students, instructional designers and developers. However, not all libraries have access to relevant specialist personnel in-house, let alone the required budgets to cover the production cycle expertly. In extreme cases, the production of e-learning is a one-person show coming along with all its advantages (total control) and disadvantages (limited/no access to specialist expertise). The e-learning centre is a free information resource about e-learning and learning technologies for business education, not-for-profit or the public sector. The site provides a collection of resources including book reviews, research articles, websites, case studies and more. See also the E-learning centre archive site. All authors come from Canada's Athabasca University. A brief guide that explains how to get started in the creation of online patron tutorials. It's short and snappy considering budget, time commitment and required expertise. There's also the important question of what tools go hand in hand with PowerPoint to create more sophisticated, interactive e-learning solutions. I have listed three alternatives below, all of which are extensive and powerful in terms of their built-in standard features. The choice depends on personal preference and available budget. Check out this webcast on Usability in e-learning created with Articulate. It'd be interesting to find out about your approach to e-learning. What authoring tools and other resources do you use? What are the challenges from your experience? Any insights and examples would be greatly appreciated. Zdravkova, K. (2010). 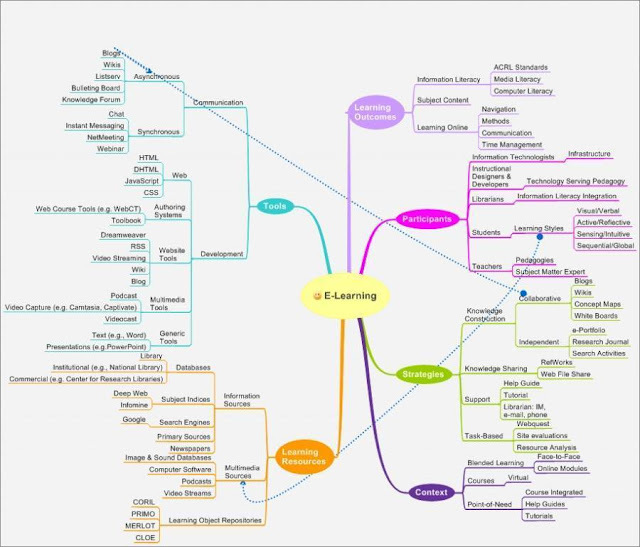 E-LEARNING 2.0 AND ITS IMPLEMENTATION. Infotheca - Journal Of Informatics & Librarianship, 11(2), 3-19. Nice overview Alex. I gave a workshop on free elearning applications a few months ago, you may be interested in my presentation (http://slidesha.re/RKkTxS). I find screencasting is one of the better solutions on a zero-budget and would recommend screencast-o-matic. Thanks for the post. I have been working recently with an Instructional Designer and a lecturer with e-learning experience to propose a support unit for lecturers. The idea behind the E-learning Development and Support Unit (EDSU) is to take e-learning beyond the typical lone-wolf approach you refer to above. The composition of the unit consciously reflects the three areas of support required for reluctant e-learners to make the leap: instructional design, pedagogy and content provision, which is where I come in, as a member of the library staff. I would be interested in hearing from other librarians involved in supporting e-learning. Thanks for that, Tony - your approach sounds very pragmatic. It would be interesting to see some of your e-learning solutions coming out of EDSU. Will they be available openly online?